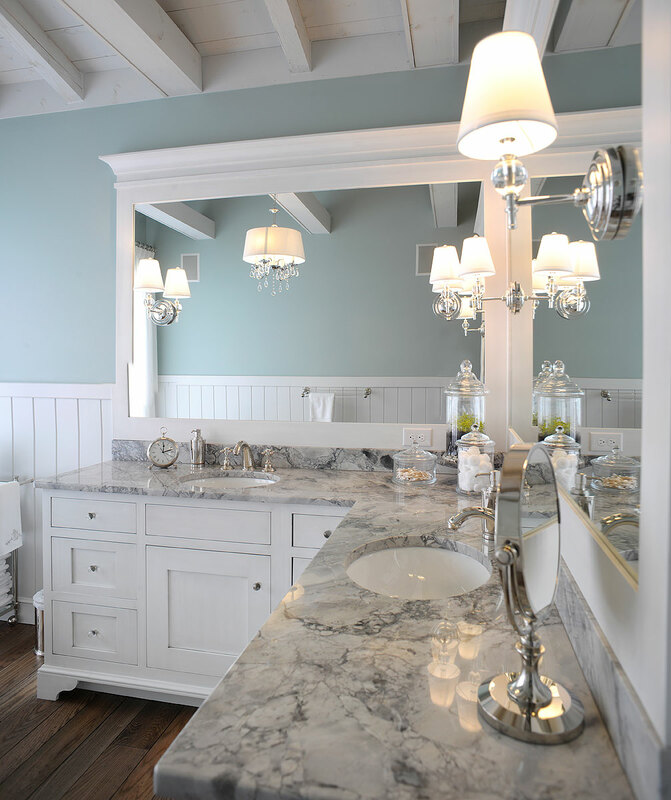 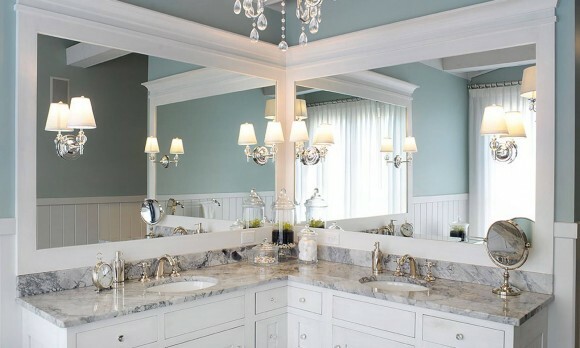 The grandeur of this Master Bath invites you to luxuriate in its beauty. 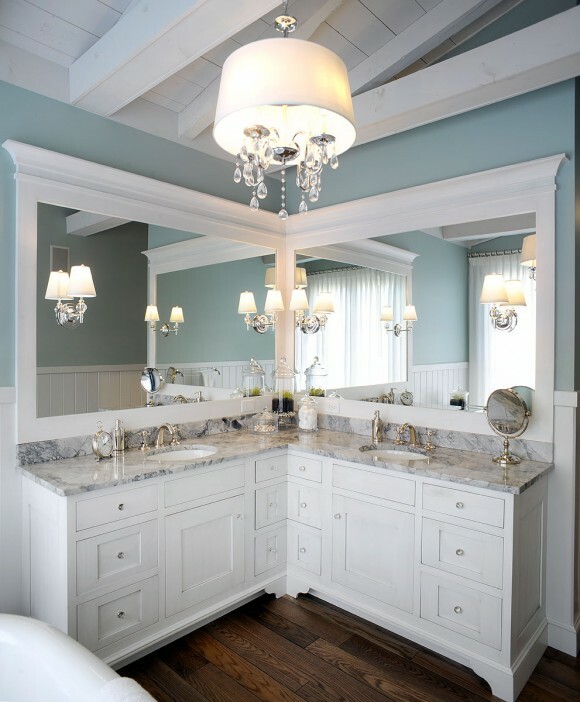 Painted white cabinetry is offset by dark wood flooring, painted beams and a crystal chandelier. A bathroom to amaze!